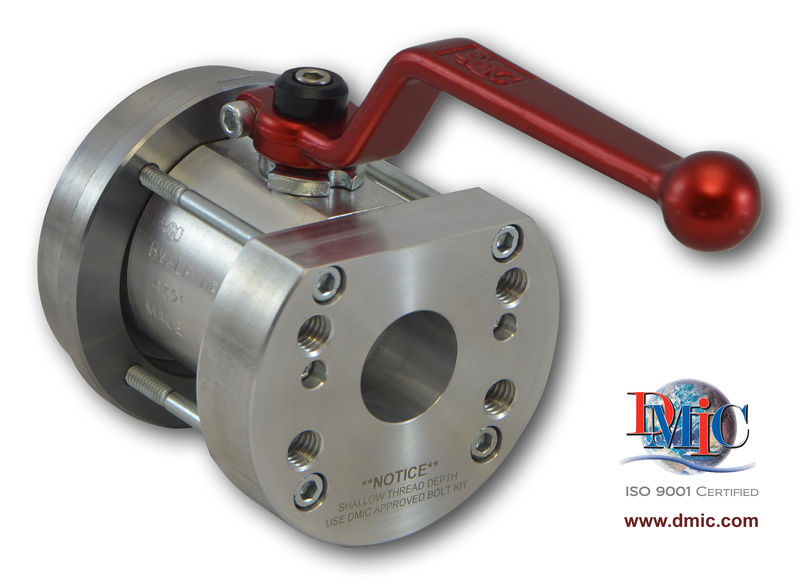 DMIC’s Model BVALP ball valve offers hydraulic power system designers a compact, high-quality alternative for hydraulic fluid reservoir shut-off requirements. 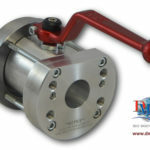 The low profile design is ideal for space-restricted installations, which is further supported by the innovative welded-ring interface that provides a direct connection of the valve to the hydraulic fluid reservoir tank. Interface to external plumbing is facilitated by either an SAE Code 61 or ANSI Class 150 flange connection. 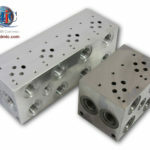 The valve can also be provided with an optional tank-side female NPT threaded port to support the connection of a suction strainer. Standard materials of construction for the valve include a lightweight, machined aluminum body, brass trim, Teflon ball seals, and Buna-N O-rings. Optional Viton, EPR, Delrin, PEEK and other materials are available to provide compatibility with a wide range of fluids as well as environmental requirements. A choice of weld ring materials, including carbon steel, stainless steel, and aluminum are available to match the reservoir tank for ease of welding. Typically installed on the input side of a hydraulic pump, the BVALP is suitable for suction applications as well as other requirements to 250 psi. 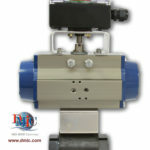 The valve is offered in standard bore sizes up to 4 inches. 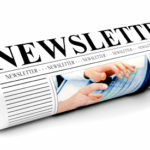 Special versions are available. Popular accessories include lockable handles and limit switches to provide remote indication of whether the valve is open or closed.